Now THAT is an enticing title. Some of my most favorite things all listed in one line! Anyone who truly knows me can pick which one is my TOP favorite. I’m curious, which do you think it is? 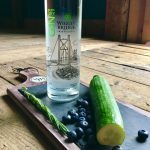 A while back we met some wonderful people from White Mountain Winery in North Conway, NH. 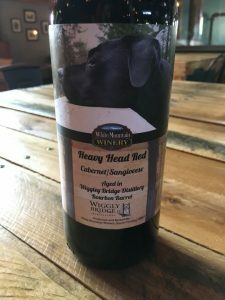 They brought one of our used bourbon barrels back to their place and aged some wine in it. I enjoy wine, I’m no connoisseur, but this was an easily drinkable and delightful Cabernet/Sangiovese. Almost too easy and if I had to pick a favorite wine, THIS would be it. It was smooth and the flavor was fantastic. They are releasing the wine October 13th and the unfortunate part is they only have 9 cases! 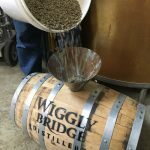 The upside is they now have another barrel and a used agave barrel…so many fun things coming up! 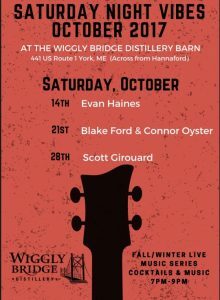 If you’re from New England you’ll have an idea about one of the more exciting things, among many, that’s happening in October. One is with this purple guy below! Yes! 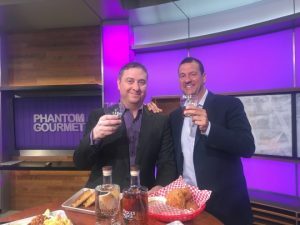 The Phantom Gourmet! 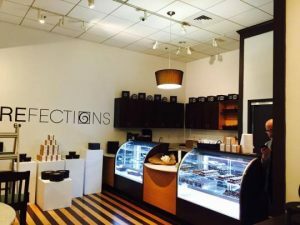 We were fortunate enough to be chosen to be part of the Phantom Gourmet’s Whisky and chocolate event happening in Boston on October 7th. There will be over 2,000 peeps! 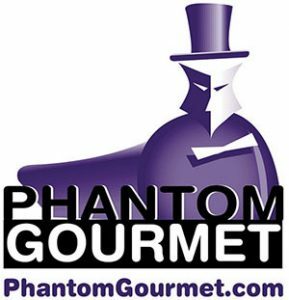 Those of you not privy to what/who the phantom gourmet is or are not from the area, the Phantom Gourmet is a food related TV show aired in Boston, MA, Providence, RI, and Portland, Maine each Saturday and Sunday morning featuring profiles of New England area quality restaurants. They do a lot of neat things and you can just google Phantom Gourmet to find out more! Many of their events are sold out and attended by many. Want to win some tickets? Answer the question in the beginning of this blog post and you’ll have a chance to be chosen to get two tickets to the Whisky and Chocolate event! I keep thinking I need to write a closing paragraph and I look at my list to see I have more to talk about! I’m having way too much fun with these gifs by the way. I’ve saved you from about 5 more that I deleted. Trying to keep my excitement cool, calm, and collected, and no big deal, but it tends to seep out every now and then. We have set up a jam packed live music program (Saturday Night Vibes) featuring local musicians most Saturdays all the way through February! You’ll be able to see the schedule on our facebook, website, and posters like the one below! Here’s October’s lineup and I’ll eventually get November’s up as well! This is a new program for us. 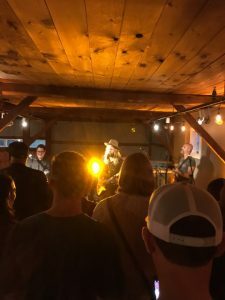 We got the live music bug after Jon King and friends played a notable concert at the distillery last month. People loved it and so many people hung out after. I had some disappointed people who wished I had promoted it, but it was a last minute pop up concert because their original venue was rained out! I really wasn’t sure what to expect so I just let it happen! It went swimmingly which is why we are doing more, a lot more! 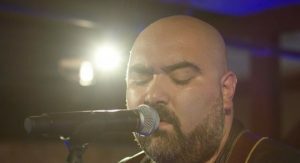 Thanks to Jon King for doing a fantastic performance! He will be back at the distillery at some point! I even got the chance to meet and chat with Troy Ramey who I didn’t realize at the time was on The Voice! After his performance he sat and chatted with us for a while. Talk about such a down to earth kind hearted guy. He has a giving heart and it was a pleasure chatting with him at the end of the night! I hope our paths can cross again! 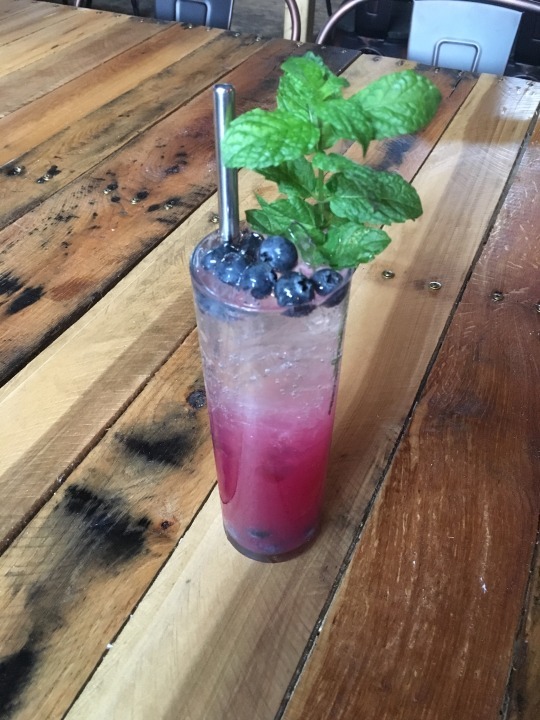 We are slowly gearing up for our winter cocktail menu. Ashleigh is working on some delightful cocktails. I’ve even picked up a few bar shifts as of late and have had a BLAST making cocktails! Who would’ve thought! I’m on mostly Monday nights and have had the pleasure of chatting with our customers and finding out what they really like about our brand! As a marketer, that is the kind of insight you can only dream of! I feel so fortunate to be part of all aspects of the business. It’s an opportunity I certainly don’t take for granted! I love wiggly. That’s all for now. I have to run off to a meeting. Oh, one more thing…My inbox has been blowing up with people asking if our Agave is out yet. We are just waiting on bottles to be shipped and delivered so we can start filling them with our precious liquid. When those come in, rest assured we are going to town! As usual, I’ll keep you posted!